Lamar University took STEM curriculum and placed ‘art’ back at the center of learning with the STEAM Summer Art Camp, an intensive week of exciting hands-on integrated learning activities and art projects for students who are entering 9th through 12th grades. Through the STEAM mindset, 15 students from Beaumont, Winnie, Nederland, and Port Neches were taught that art and design are essential components to understanding the world. 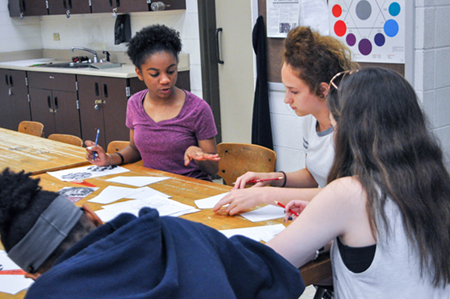 During the week, students participated in three classes: introduction to 3-D printing, printmaking, and mixed media. 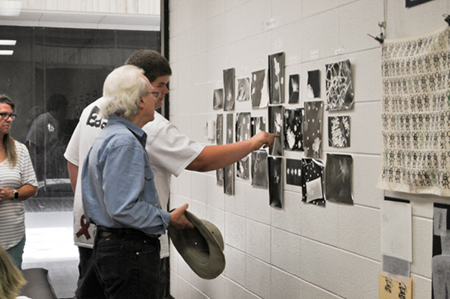 They started each day with photography lab and collaborative learning sessions addressing the importance of art as a discipline and its many interdisciplinary connections. The camp courses were designed to be concentrated and active. A professional art educator with art certification and teaching experience in the area of STEAM taught each course. In addition to art specialists, guest speakers shared their expertise with STEAM initiatives. In the introduction to 3-D printing class the students used science, technology, engineering, art, and mathematics as inspiration to design a three-dimensional sculpture and learn how to create artwork using a 3-D printer. During the printmaking class they learned about various printmaking techniques, inks, and designs, while exploring mixed media methods. And within the mixed media class the students created a skateboard deck design and a space-themed silhouette. 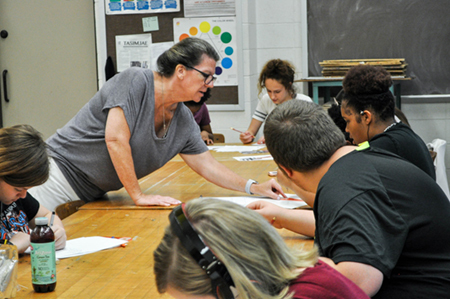 At the conclusion of the program the LU Department of Art hosted a student art exhibition and reception in their SOL Gallery with the pieces created during the camp. For more information on upcoming events and activities with the art department at LU contact Joana Hyatt, assistant professor of art education, at joana.hyatt@lamar.edu or (409) 880-7764.